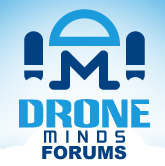 Discussion in 'Drone Events' started by BSHARK, Sep 5, 2018. Saturday, September 1st, 2018, Shenzhen, China,BSHARK announced the product launch of “Narwhal 2” a 2nd generation hydrogen fuel cell drone that has flight endurance up to 2 hours. The name Narwhal originates from a medium size whale that as a long sharp tusk. “I believe we all know how powerful the whale is in the ocean, the Narwhal 2 possess these powerful traits in the airspace,” said Mr. Lu CEO, atBSHARK. "When the Narwhal 1 was launched earlier this year, it redefined the way industry people looked at a drone and expanded possibilities for industrial applications. Today, we enter a new era of Powerful flight endurance with the introduction of BSHARK’s new flagship product, the Narwhal 2".